In recent years there has been a revival of delay pedals built around traditional old school technology. Small boutique outfits like Tone Czar and Diamond Pedals have made excellent pedals using the BBD chip. Fulltone has even released a full blown tube driven tape echo! It seems like digital delays are either cheaper mass produced pedals, or the modelling type which have a lot of features, but that doesn’t quite appeal to a die hard delay snob. # A pedal, I need a pedal. The rack format is of no use to me. And of course, I wanted all this in an attractive package without jeopardising the inherent magic of the delay, and the weirdness of the modulation section. Ha! What do you say now eh? To my infinite surprise Kjell replied: “No problem, if you want it we’ll build it for you”. Six months later I ended up with “The Digiplex”. So, what does it sound like? Well, the pedal has really exceeded my expectations. Now I have at my feet a gorgeous looking pedal with all the features I loved about the original Chandler devise, but with the improvements I had wished for. It still has that “floating” quality. The echoes never steps on your original tone or gets harsh or to pronounced like many modern digital delays do. The modulation section adds the shimmer that makes the Chandler sound as close to a tape echo as I ever heard a digital delay do. 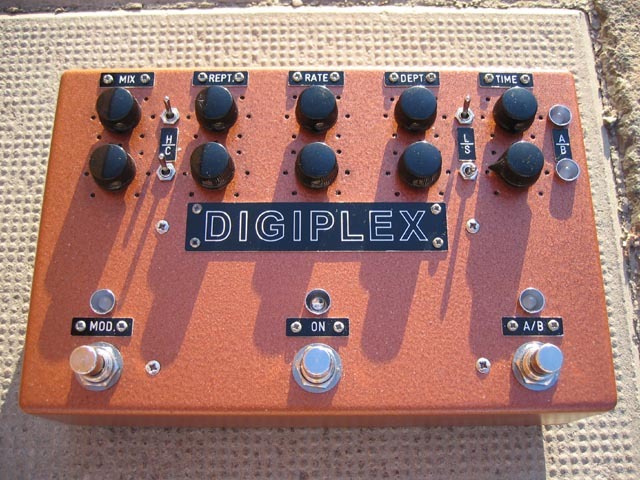 The Digiplex have two completely separate delays that you can get to self oscillate in a very “analog” way. The red channels feedback can be controlled with an expression pedal. There’s a switch on the back that determines the bypass mode. In its original form the bypass mode affects the sound in a cool way. It adds some fatness and compression that is very appealing, but I wasn’t sure I’d always like it. Now I have the option of true bypass. This has been a team effort by Kjell and his tech wizard friend Agne Mattsson. They have put a lot of time and energy into building The Digiplex. 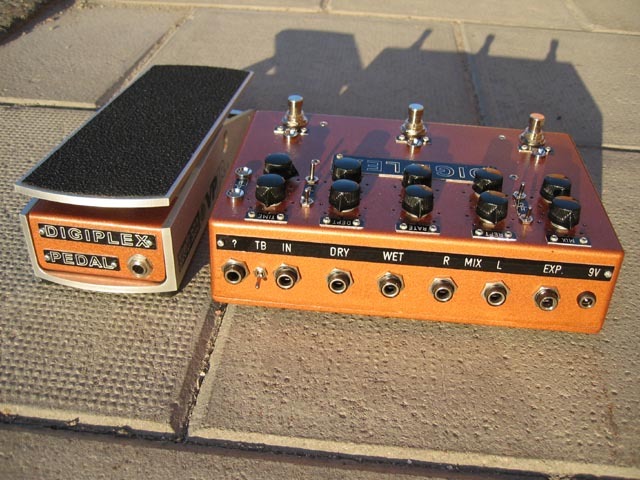 When I asked Kjell if he’d be willing to build some more pedals, his reply was: “ This was more of an isolated experiment, but if someone have a Chandler echo that they’re willing to sacrifice, wait a long time and spend a lot of money, then perhaps”. 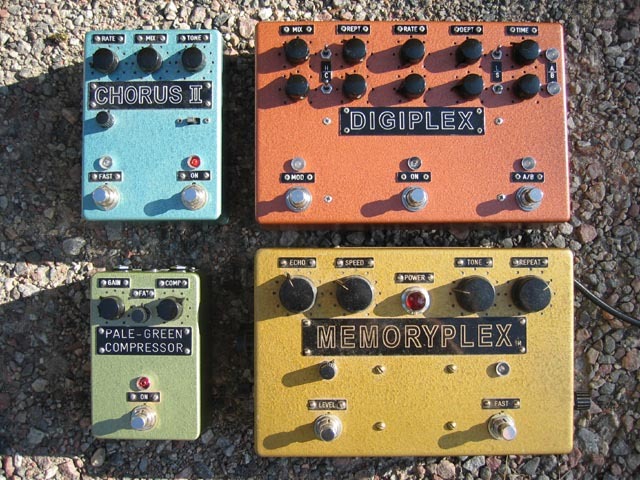 A rehoused Arion Chorus, A rehoused BJF Pale Green Compressor, The Digiplex and the Illustrious Memoryplex.